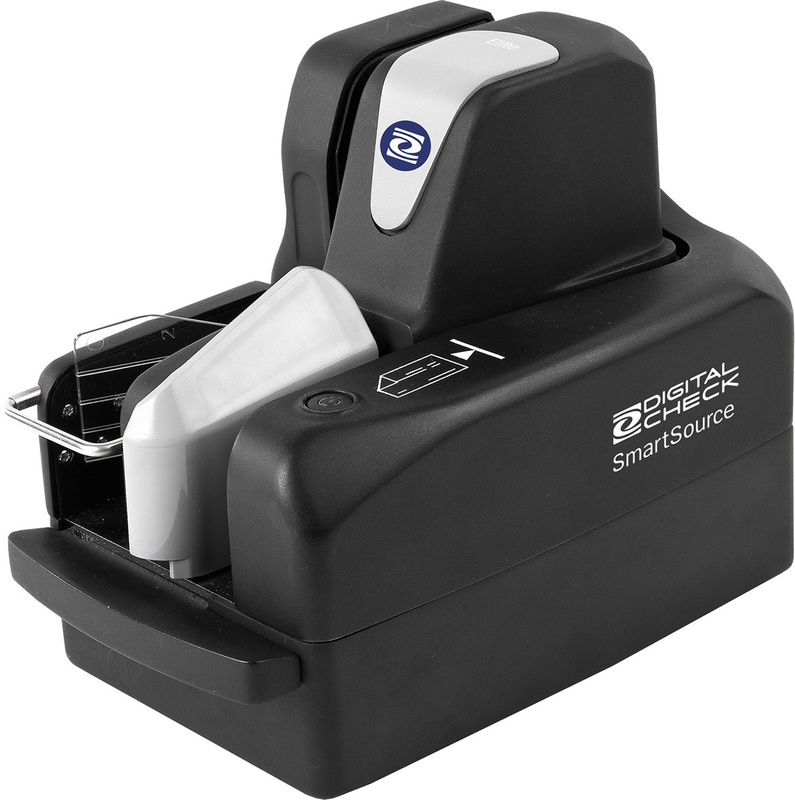 The SmartSource Professional Elite Cheque Scanner is a teller capture scanner with all the great features of the SmartSource® Professional series – only smaller and faster! Now scanning at up to 155 documents per minute, the new SmartSource® PRO Elite has what it takes to handle any job in the branch, while remaining quiet and compact enough to be pushed into the field as a high-volume remote deposit capture scanner. For use in remote deposit capture, the Elite line features two lower-cost scanners, the SmartSource Merchant Elite and the SmartSource Elite 55. Both are identical to the SmartSource PRO Elite, but operate at 55 documents per minute; the Elite 55 includes a rear Inkjet endorser, while the Merchant Elite does not. Please contact Checkprint Ltd on 01455 615616 or email enquiries@tallgroup.co.uk for current pricing. Our orders are delivered by a dedicated courier and will require a signature on delivery. Delivery terms are valid for UK mainland orders only; if you require international service please contact our Customer Service team. If the box or packaging is damaged upon receipt please contact us immediately and do not open it. Either call 01455 615616 or email enquiries@tallgroup.co.uk.Items returned within 28 days, may be refunded provided that they are in good condition and have not been used. A return carriage charge will apply unless the return is due to damage or error by The TALL Group of Companies. Credit Notes or refunds will be processed once the goods have been received and checked by us.